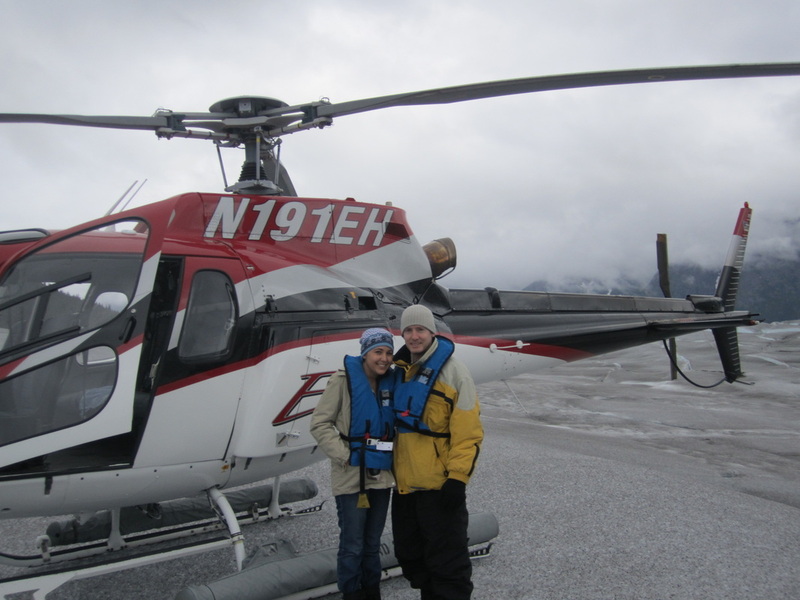 The capital city of Alaska offers a variety of things to do. 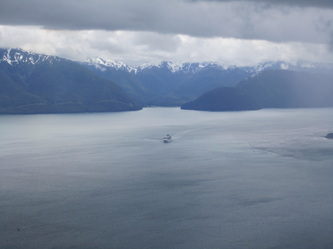 It's no Hawaii, but Juneau's weather is probably not as cold as you think. Average summer days are in the 60s, with many days reaching into the high 70s and low 80s. (Yes, in Alaska.) Winter temperatures average about 29 degrees, but if you think that's cold consider this: Juneau's winters are warmer than cities like Minneapolis, Chicago, and Cleveland. If you want to go home with a really cool story, be in Juneau on the longest day of the year, June 21, for the Midnight Sun. There are 18 hours and 18 minutes of daylight that day, and the sun never really "sets" -- it just dips below the horizon, where its glow keeps illuminating the sky until it reappears the next morning just a few hours later. 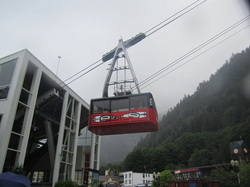 Ride an enclosed tramway gondola from the cruise ship dock in downtown Juneau through the rain forest to the 1,800-foot level of Mount Roberts for one of the most expansive views in Southeast Alaska: Chilkat Mountains to the north, Gastineau Channel to the south, west to Douglas Island, and east into Silver Bow Basin. Mountaintop Fun At the upper Mount Roberts Tramway terminal, the beautiful Mountain House (Shaa Hít) recreation and cultural complex includes the Timberline Bar & Grill (with seasonal outside dining) the Chilkat Theater, Raven Eagle Gifts , and access to a Nature Center, Juneau Raptor Center Bald Eagle Display and Mount Roberts Trail System. History, Art and Culture Visitors can learn about Tlingit culture through the award-winning film Seeing Daylight, shown in HD Blu-Ray every half hour. In addition, Native and historical artwork is displayed indoors and outdoors throughout the complex, and Native artists present frequent live demonstrations with beads, wood, fossilized ivory , silver, garments or dolls and share their cultural stories. 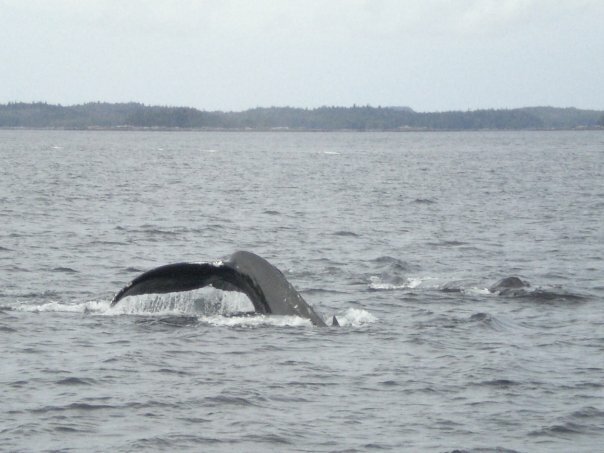 The best time to whale watch is from April to November, when over 500 humpbacks inhabit the waters of the northern Inside Passage. 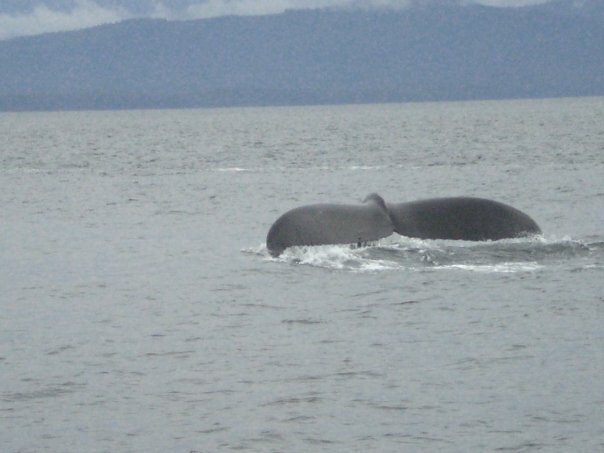 Whale watching tours are offered in Juneau and near Glacier Bay. Daily boat tours to Tracy Arm rarely return without whale sightings - and you'll often spot many on a single trip. The orca, or killer whale, is also common to Juneau. But Shamu doesn't jump through hoops like he does at Sea World. These whales, though much smaller than humpbacks, have been known to pursue seals, moose, and even other whales. 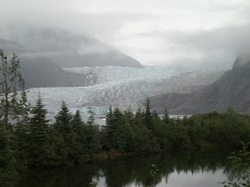 Mendenhall Glacier is the largest Glacier in the world. 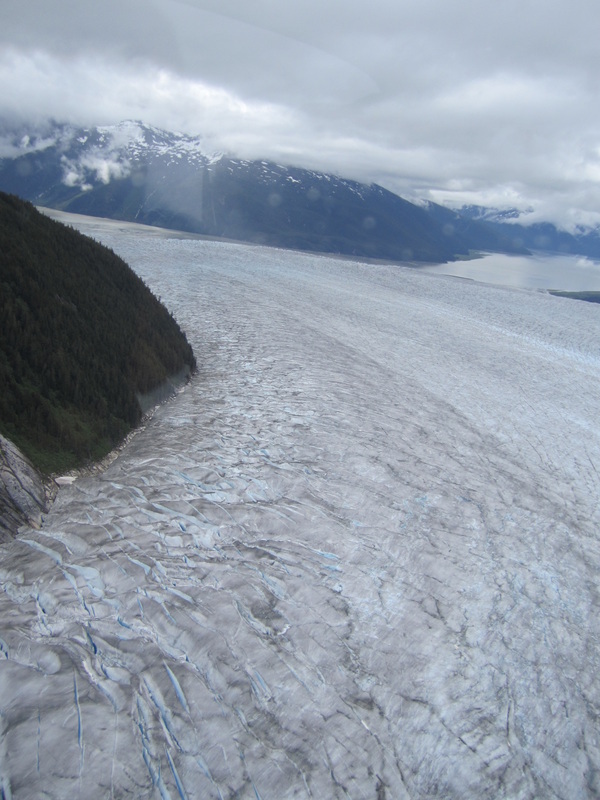 If you've taken the paved trail to a glacier overlook, you can glance to your right and see the visitor center, set in a cliff above the valley floor. 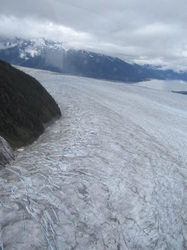 The huge windows that make up the curving wall of the center offer an uninterrupted view of the glacier. Take your choice of ramp, stairs, or elevator to reach the center's entrance. From there, you can enter the exhibit gallery through a simulated ice cave. 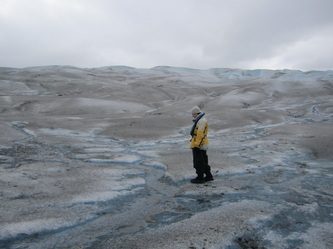 Immediately to your right is the "Recipe for a Glacier" exhibit, and beyond it a monitor which visitors can activate to show animated views of Mendenhall Glacier advancing and receding, with corresponding dates. 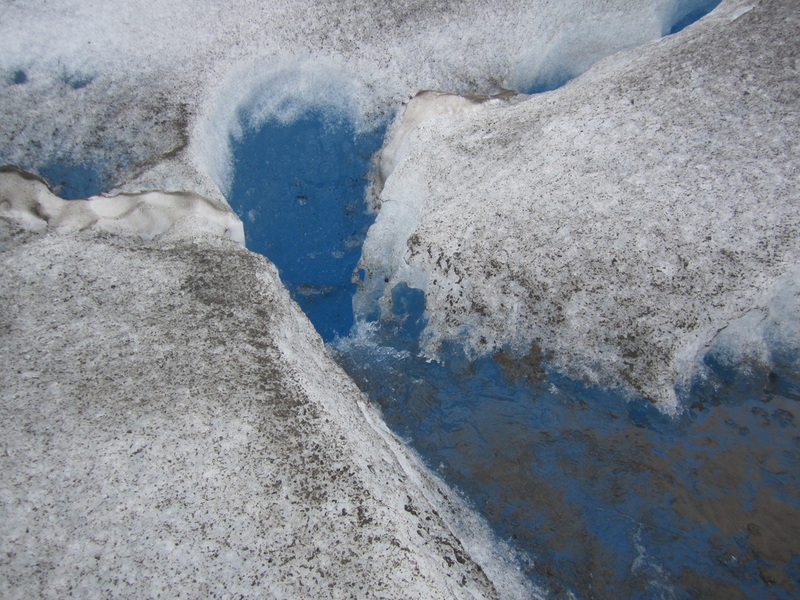 You move on to a fabricated ice face of the glacier, with signs explaining glacial processes. All the exhibits help show how the Mendenhall Glacier moves and shapes the valley ecosystem. 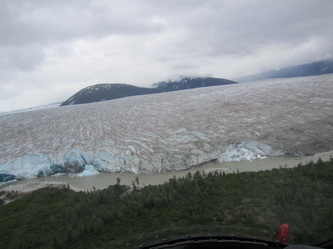 Stretching to ocean tidewater, the Taku is the Juneau Icefield's largest glacier. It is also one of the few glaciers that is not retreating, or shrinking from melting. My husband and I were able to experience this magnificent work of nature via a helicopter tour from Era Helicopters. There were four of us plus the pilot for the tour. This was the most memorable experience of our trip. Even if you are afraid of flying in a helicopter I highly suggest gathering all your willpower and suffering through the flight.